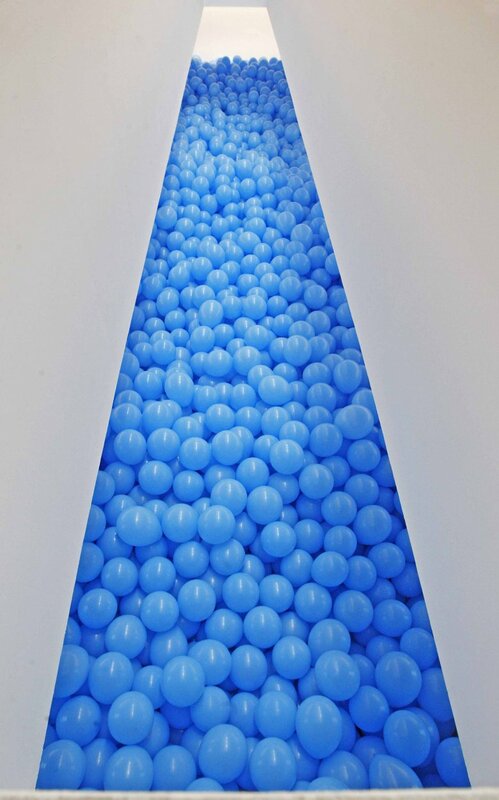 How does this work make you feel? 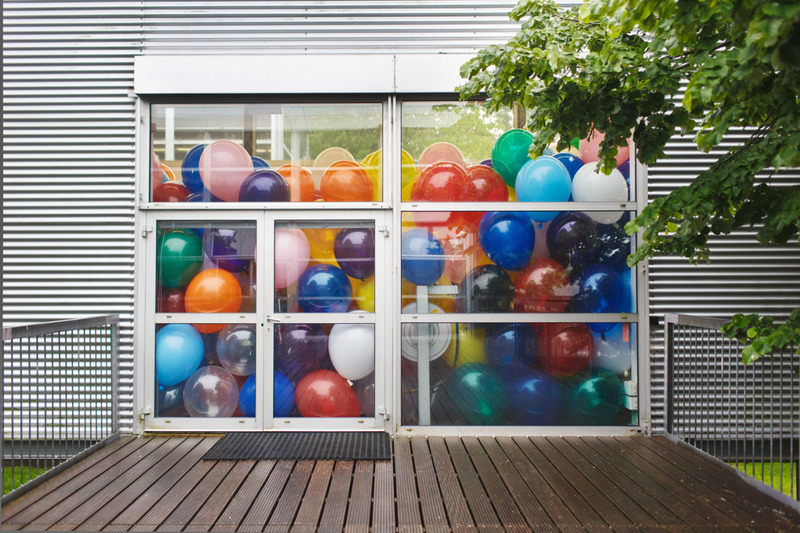 Martin Creed’s Work Half the Air in a Given Space, is a brilliantly fun way to experience interactive art. 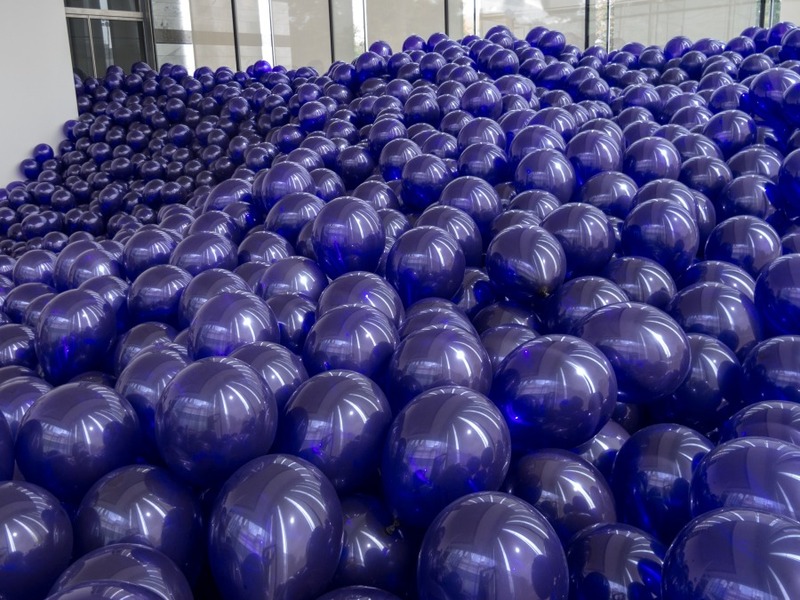 As an audience member, you find yourself pushing your way through a space, whether it be a room or a hallway or a lobby, filled (only halfway) with up to 37,000 balloons. 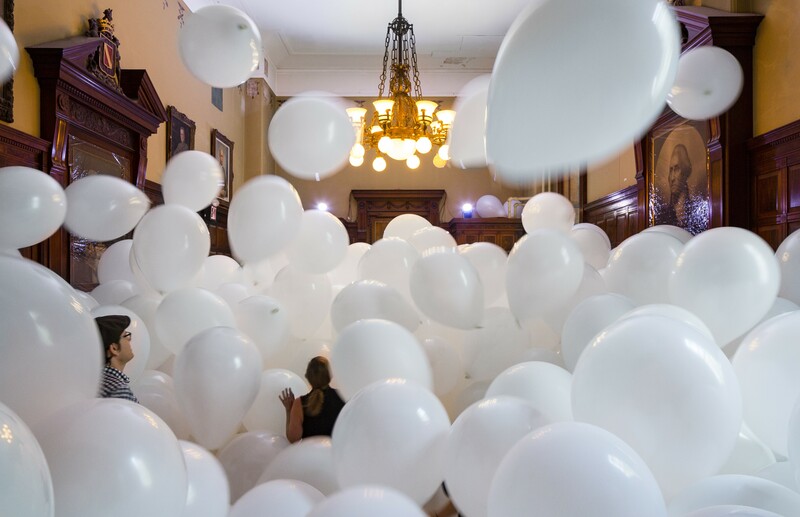 You as an audience member are completely surrounded by marshmallows, and although the image is joyfully preposterous, however, as you get into the space you find you feel a mixture of emotions including exhilaration, disorientation, but don’t be surprised if you feel a little bit claustrophobic. 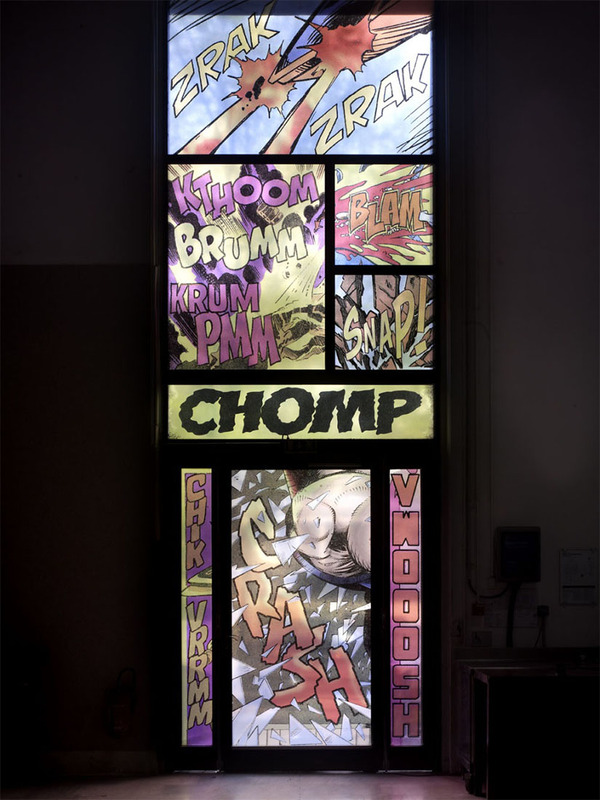 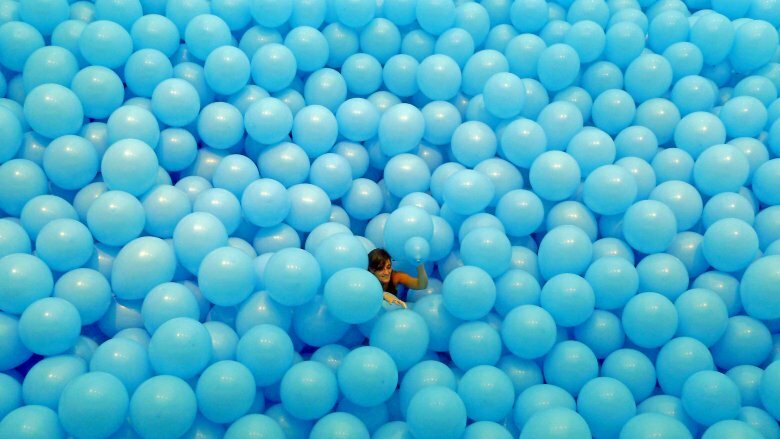 Half the Air in a Given Space can be described as an interactive installation (which is easily an understatement if anything). 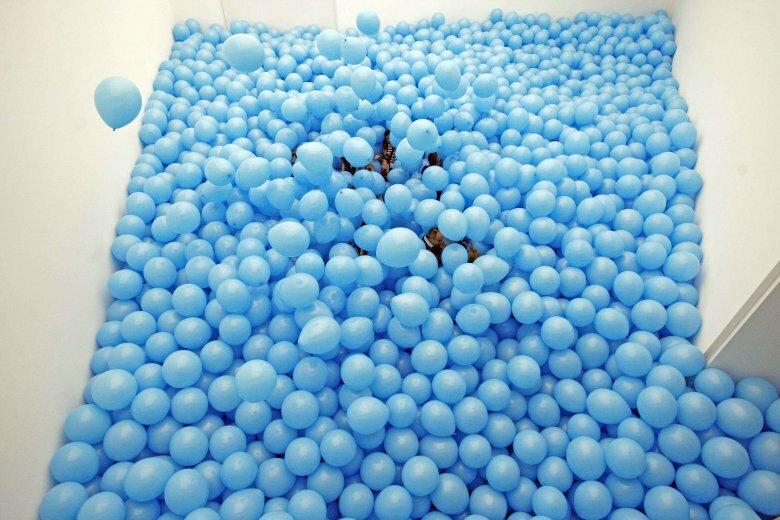 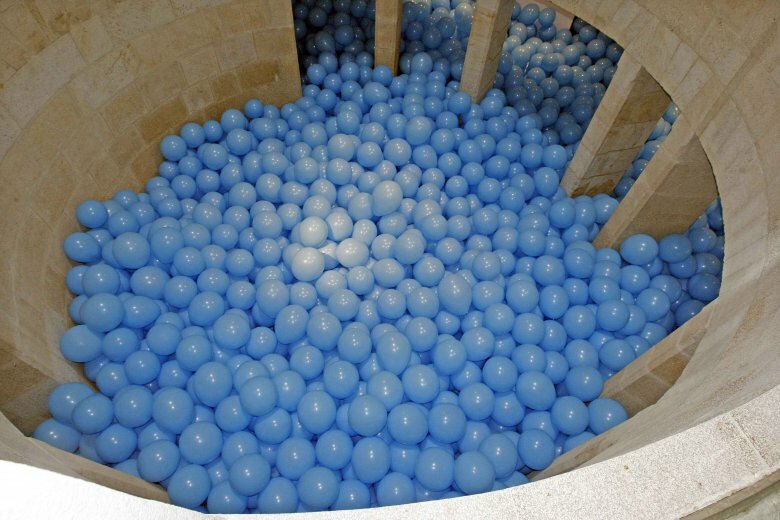 This is every child’s dream or every globophobic’s worst nightmare (globophobia is the fear of balloons), basically, a space that’s filled with of hundreds or thousands of balloons of the same color. 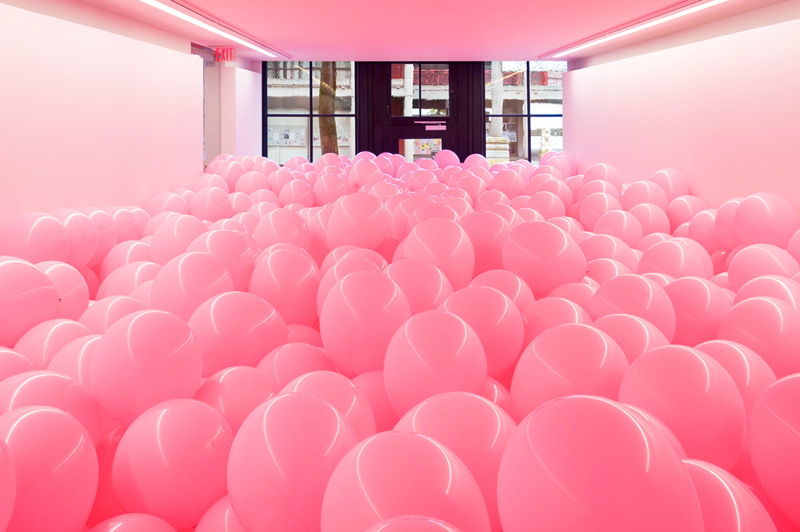 Half a room’s entire volume is filled with balloons, and visitors become a part of the art by walking through the balloon filled room. 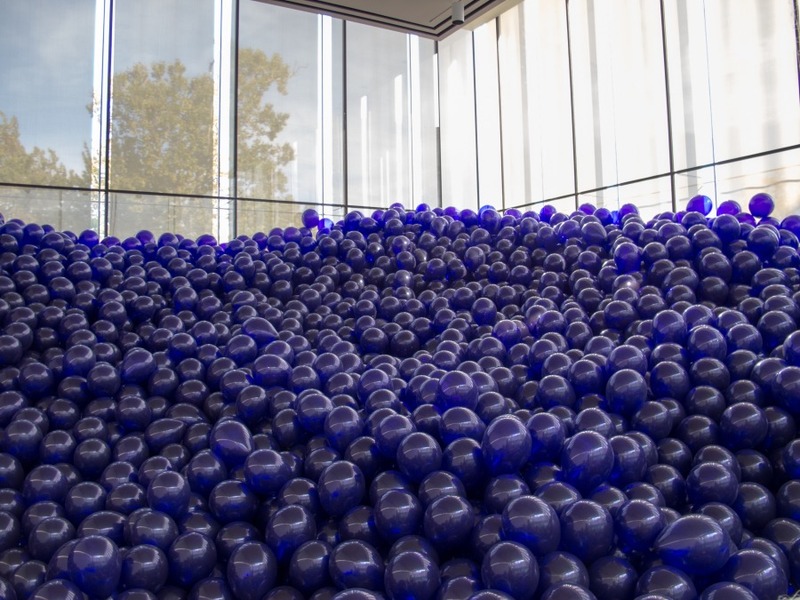 For those who are not globophobic or claustrophobic, this piece is supposed to evoke the feeling of deep celebration and remanence of childhood memories. 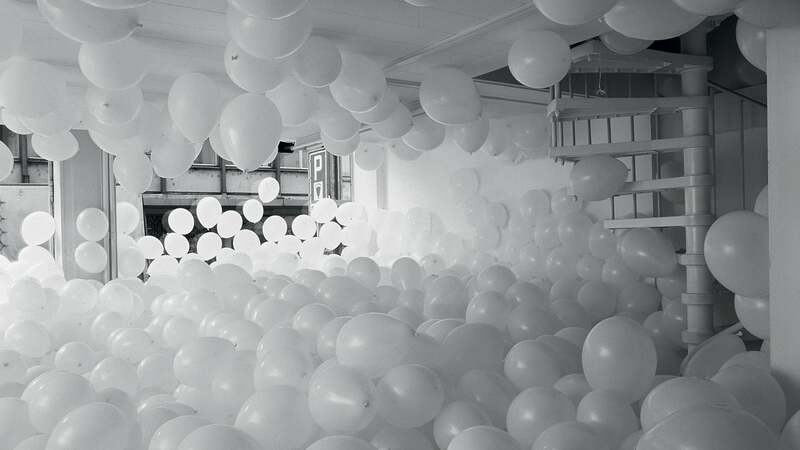 If you have no problem with balloons or small spaces, you can be pretty much guaranteed that you will leave the installation with a smile on your face from the touch of nostalgia you have emerged from. 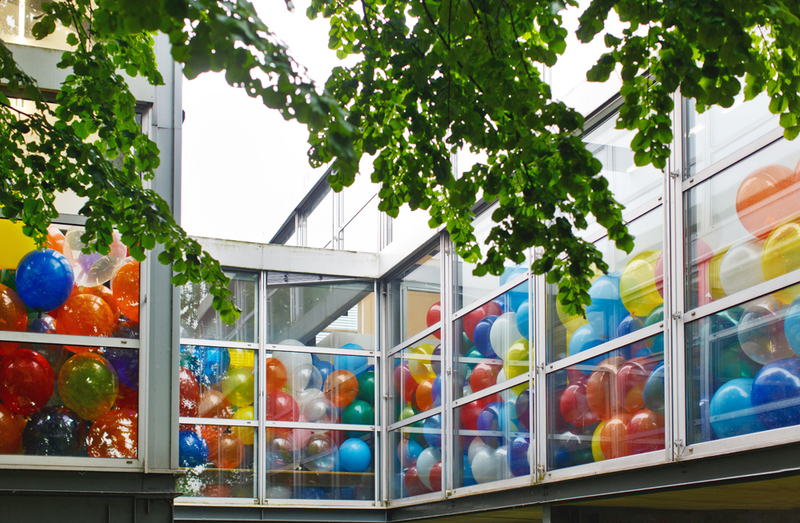 In 2012, Creed installed four versions of this work in neighborhoods throughout the city, each site featured a different colored balloon. 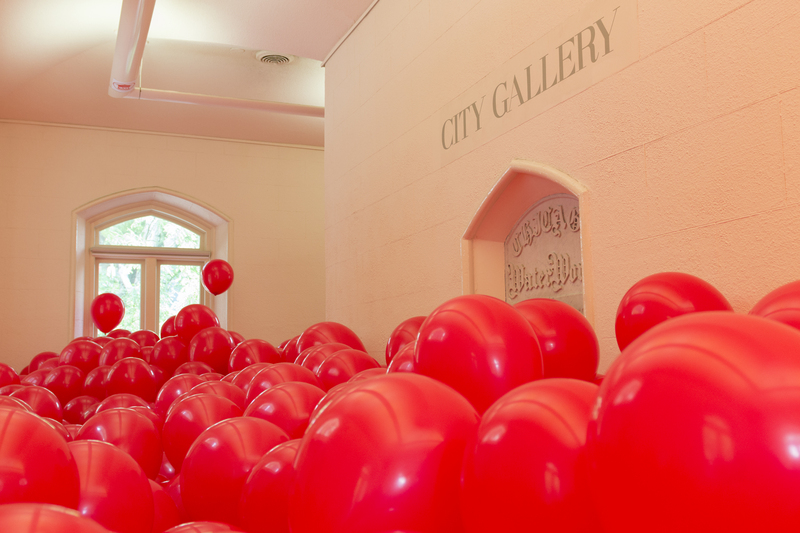 Thus not only are audience members who brave the balloons submerged in a room half filled with air, but they are submerged in the color, in a supernatural world in which their senses cannot fully be relied on, a world in which beauty and playfulness is combined. 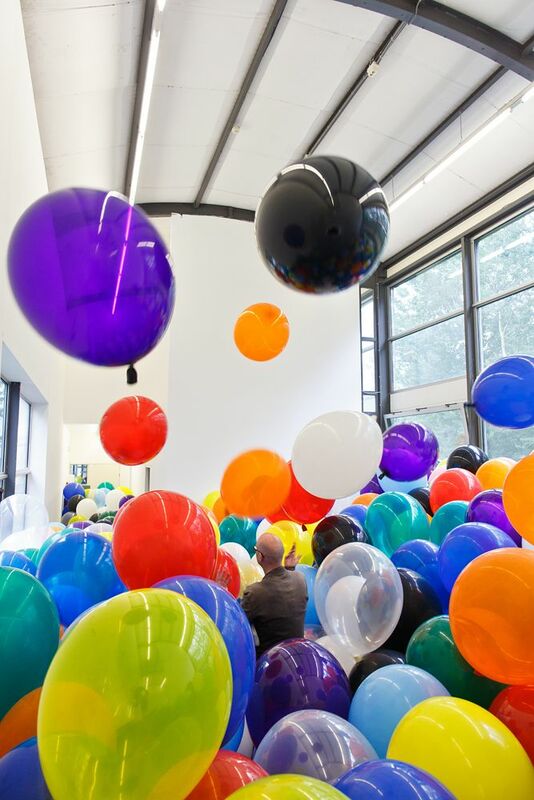 Why did Olafur Eliasson try to recreate the sun in a museum? 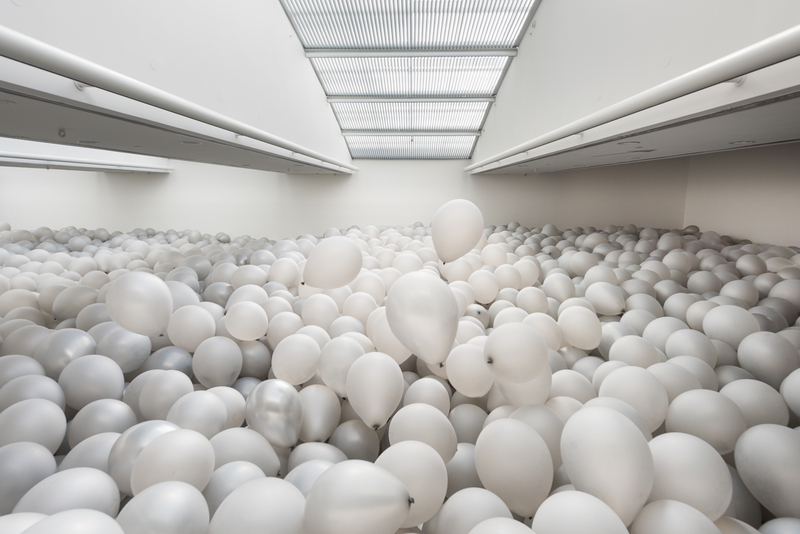 Posted on December 5, 2016	in the category Installation and tagged 1998, 2000, 2004, 2011, 2015, Art in Chicago, Henry Art Gallery, Martin Creed, MCA Chicago, Museo de Arte Contemporanea de Vigo, Park Avenue Armory, Phoenix Art Museum, Rennie Collection, Tate St.Ives. 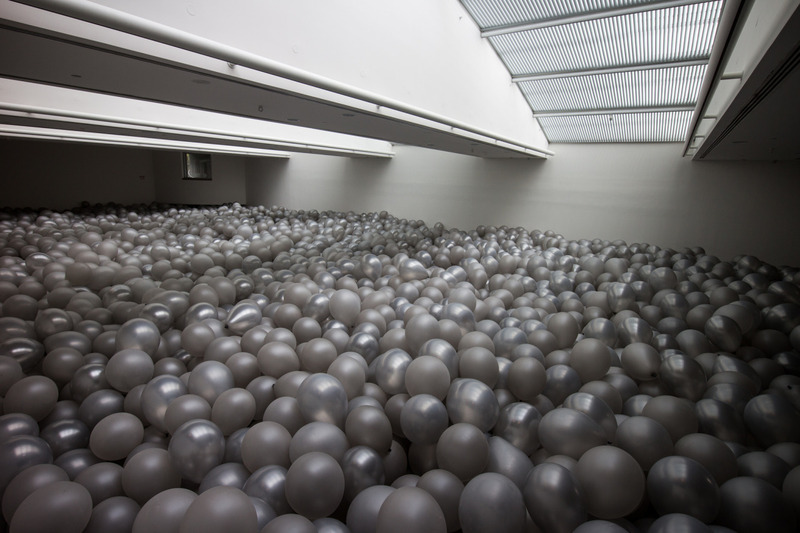 3 Responses to "Martin Creed fills entire museums with his balloons"